Stacey from Stacey's Creative Corner to share a simple Valentine themed card that I created using those awesome Jaded Blossom stamps and dies! I created my shaped card base by using the Scallop Rectangle Dies 2 and cutting them from some white cardstock. I decided to do a bit of inlay die-cutting for my card. I created my layer by using the Rectangle Dies 2 and cutting it from some pink cardstock. 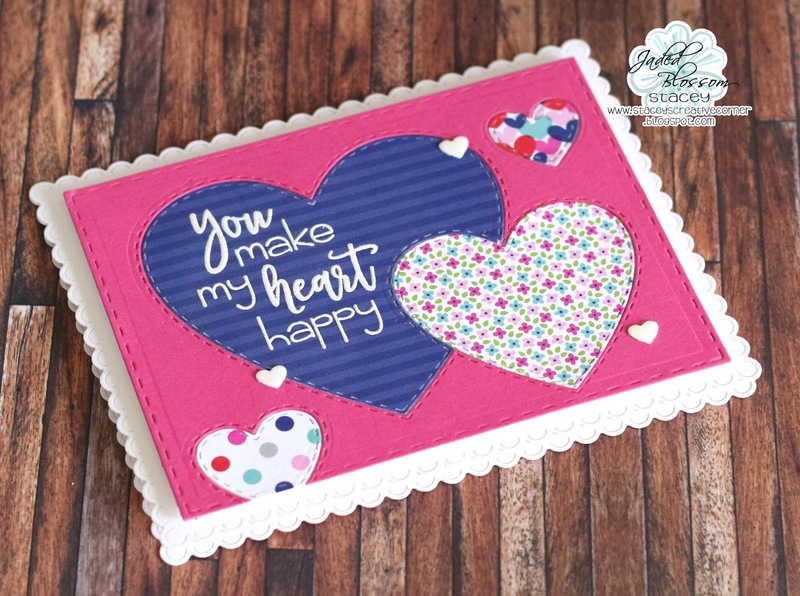 I used some fun patterns from Doodlebug and various hearts from the Heart Dies 2 and Banner Dies to create my hearts. I heat embossed my greeting using some white embossing powder and a sentiment from the Fancy Valentine stamp set. I completed my card by adding some small white hearts from the Birthday Dies. So clean and simple but I love how it turned out!! This is just beautiful. I love the inlay you did with this, awesomeness!! 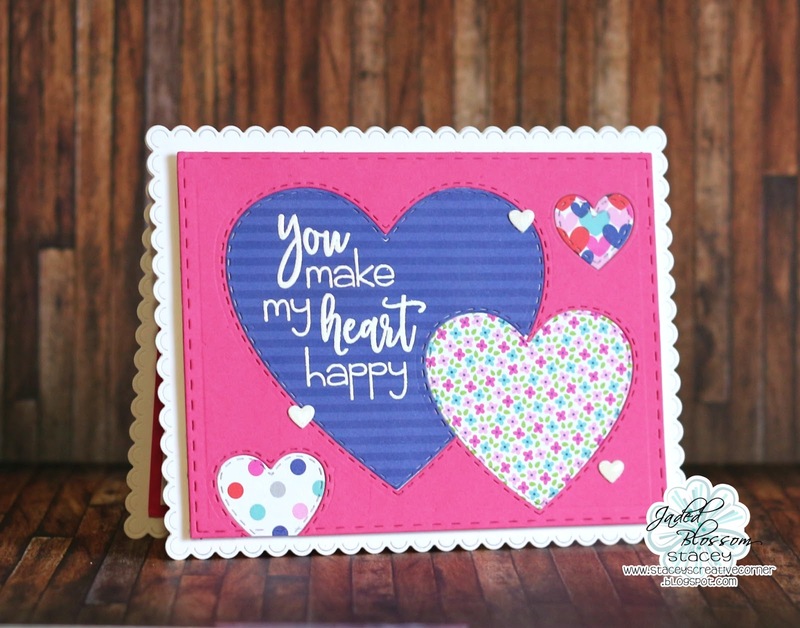 Beautiful card, I love the pattern hearts!! !